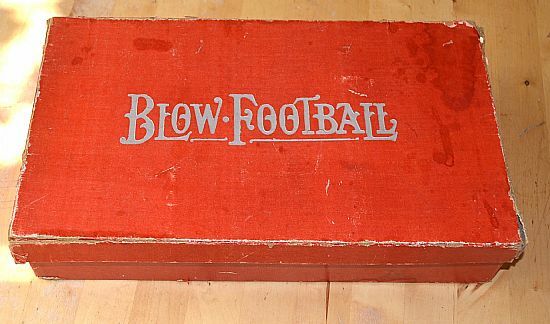 I hate blow football games but this one is well worthy of a place in this site. 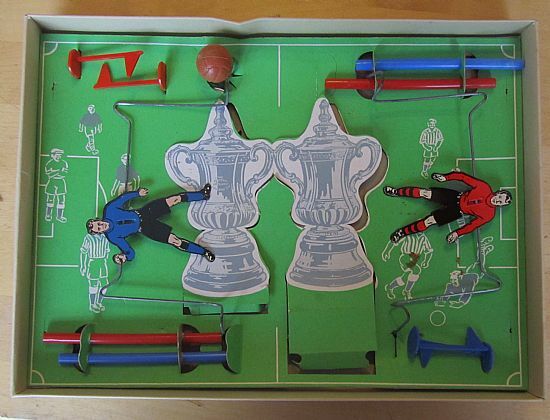 A sumptuous set from 1967 that includes a model FA cup and FA cup draw sheet, how cool is that? 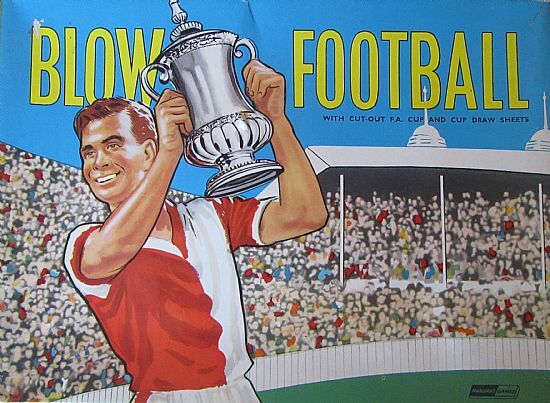 As a Woking fan I find the cover illustration the stuff of dreams! 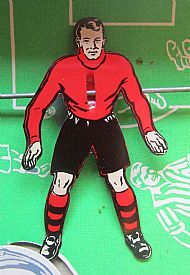 A set from the 1920s or earlier. 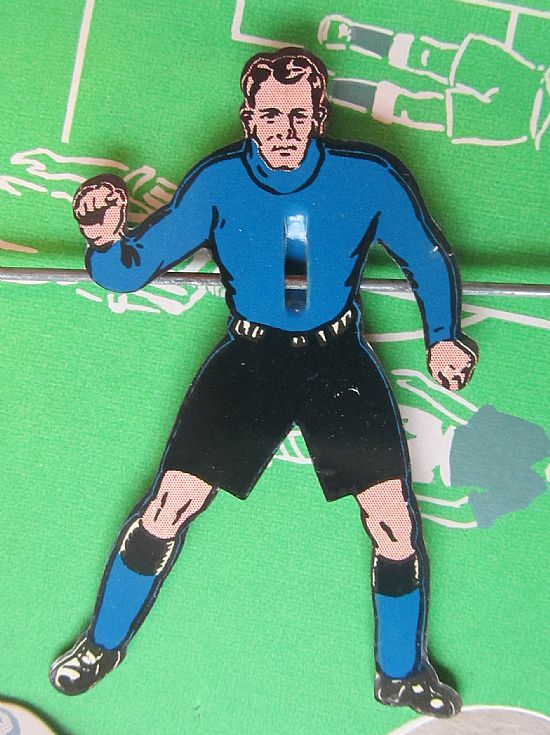 Great content with string pitch surround smart goals and keepers in matching jerseys and caps! 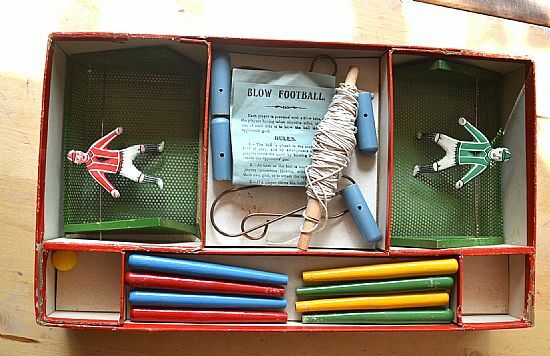 Nicely illustrated tray with goals, keepers, corner flags, ball, four pipes and instructions PLUS a magnificent card FA cup and draw sheet! 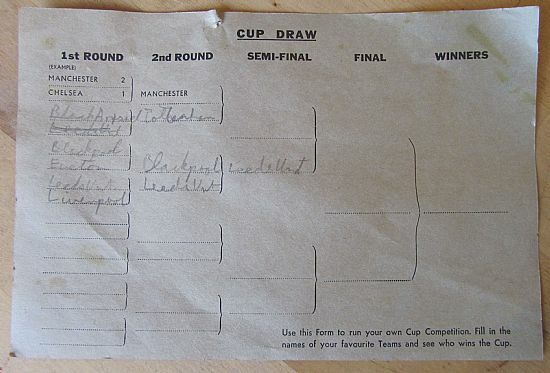 It could be seen as a cheap bit of paper or it could be seen as an FA cup draw sheet - superb inclusion for the set. 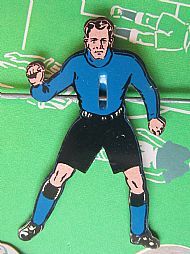 Algenon Makepiece-Smythe found goalkeeping quite a hoot! Imagine owning this as a young boy - magical. Smart silver and red box for the early set, quite impressive.